Molnlycke Setopress (4" by 3.8 yards, part number 3505) is a high compression bandage for treating venous leg ulcers. It provides the correct levels of graduated compression, and has application guides permanently printed on the bandage. Pack of 3 bandages. Molnlycke Setopress (4" by 3.8 yards, part number 3505) is a high compression bandage for treating venous leg ulcers. 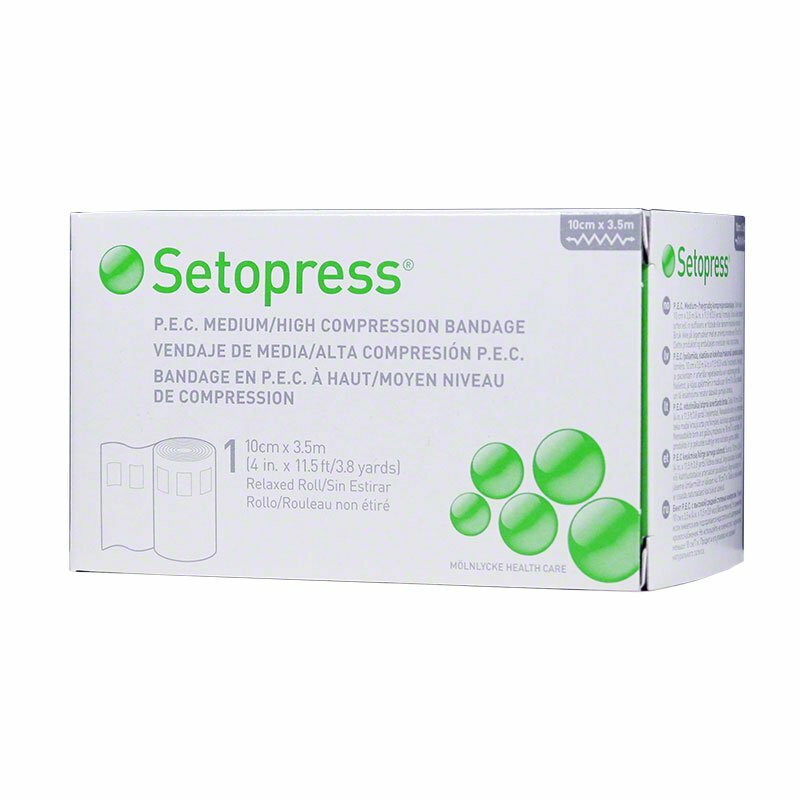 It provides the correct levels of graduated compression, and has application guides permanently printed on the bandage.